My friend was getting frantic! 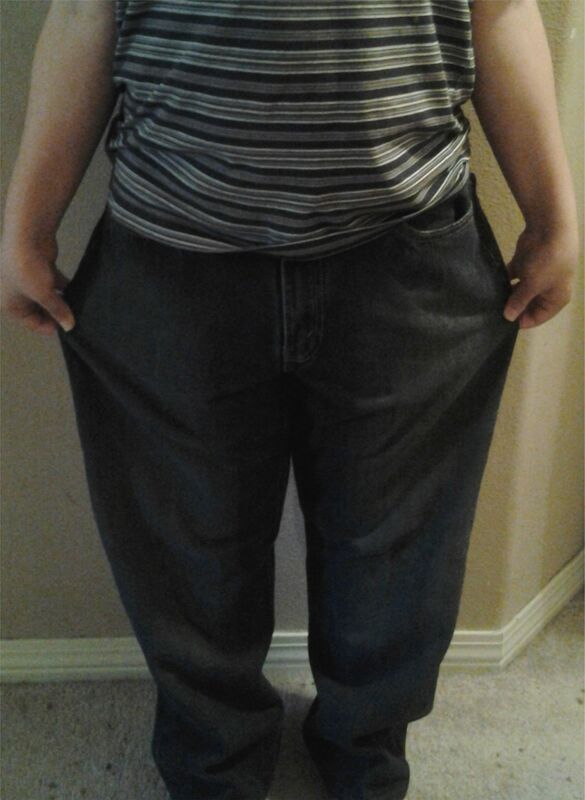 Her 10 year old son with a 34” waist wasn’t fitting into ANY type of pants. Even a boys’ size 14-16 pants had only a 28” waist. She bought him a pair of 34” waist MEN’S Levi jeans, thinking that would do the trick. 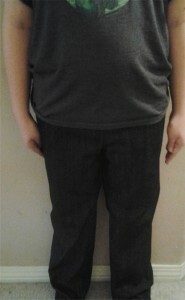 Look at how they fit this 10 year old….. In case it is your 10 year old daughter or granddaughter with the 34” waist, we also have plus size children girls’ jeans pattern that will fit her. Plus Size Girls Blouses, Plus Size Girls Skirts/Dresses, Plus Size Girls long pants/shorts. Overweight boys and girls want to have comfortable clothing that fits right and looks good on them. Plus Size Children sewing patterns were made specifically for the overweight children, using actual measurements from plus size children. If you’re looking for swimwear for overweight girls or swim trunks for overweight boys, we have sewing patterns for both categories. If you’re needing pattern paper for making patterns or altering patterns, my recommendation is the Pellon Easy Pattern 830 pattern paper. Pellon Easy Pattern 830 is 45” wide and is even machine washable.